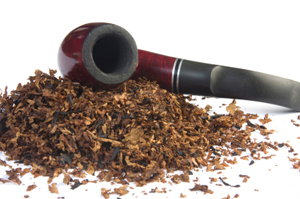 Tobacco General carries a wide selection of fine pipe tobaccos. Pipe tobacco is sold in different shape, size and flavor. Most pipe tobaccos are similar to cigarette tobacco, but are usually more moist. They are also cut more coarsely to allow for a better air to flow through the pipe. It's reccomended to store pipe tobaccos in a humidor as if it dries it loses flavor and burns much faster. Creative smokers can blend their own tobaccos by combining a few flavors.